How do you solve a problem like James? – Do you speak Autism? How do you solve a problem like James? Well here I am, blogging for the first time. Largely because there are only so many times you can post an indignant, ranty status on Facebook before people start to unfriend you. Its not just about needing to have a moan, however. Sometimes, I would just like people to understand a bit more about Autism, and that’s hard to achieve via a Facebook status. So I thought I’d do it here instead by attempting to document the day to day life of an autism parent. I’ve just come back from Waitrose with James, an experience which was stressful to say the least. With hindsight, it was probably not the best idea to take James to the supermarket, but I like to get out of my comfort zone occasionally- and also, we were out of creme eggs. It started off reasonably enough. I managed to entice James into the car with the promise of some chocolate buttons. On arrival at Waitrose, he jumped out of the car excitedly and willingly held my hand as we made our way through the car park. I inwardly congratulated myself for being so calm, collected and in control. Of course I could do this. I eventually located him in the cafe, which naturally, was completely packed. I managed to hoist him up over my shoulder (I’m pretty strong these days) whilst he screamed and smacked me in the face. For a four year old he packs a surprisingly hard punch, but reacting to the attack is suicide, for reasons I will later explain. Every time I manhandled James through the cafe, I could feel about a hundred pairs of eyes on me (no, it definitely wasn’t paranoia..some were out-and-out staring). It took a good deal of self restraint not to turn round and yell ‘why don’t you take a picture, it’ll last longer!’ But of course I didn’t. I know people don’t mean to be nasty. The trouble is, you could be forgiven for thinking that this was just a naughty boy giving his mum the runaround, because on the face of it he looks ‘Normal’. In fact, I happen to think he’s rather gorgeous looking, but then I would, I suppose. So when I get the stares, I can practically see the thought bubbles above people’s heads, along the lines of ‘what a little ….’ . Obviously no-one has ever said that to my face, so I could be wrong…Except that, a few years ago, that’s exactly what I would have been thinking. Controversial, but its the uncomfortable truth. And therein lies the ‘problem’ with James. People don’t realise that he has autism because he looks normal- so he is judged by ‘normal’ standards. It doesn’t help of course that most people don’t really know what autism is. A case in point was my parent’s reaction when I first confided my worries that James might have autism: ”Don’t be silly. He smiles and looks at you. Autistic people don’t do that’. (More on autism myths another day). So to other people, James is just naughty, and needs a ‘firm hand’, which clearly I’m not giving him. 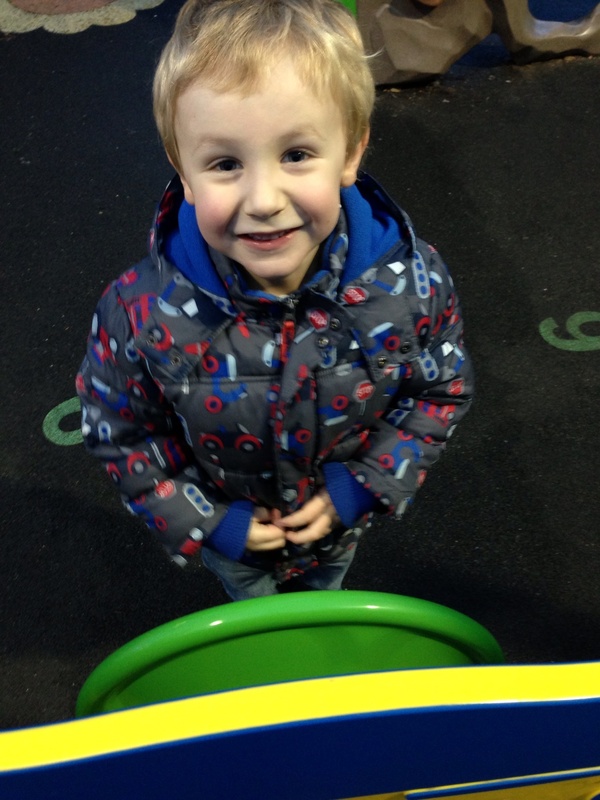 For a child like James, a supermarket is sensory overload. The bright lights, colours, all the stuff, the myriad of noises forming a general din that most of us aren’t really aware of; and then of course there’s the sheer amount of space to run and the floor-to-ceiling windows with views of cars whizzing by outside. Everything is louder, brasher, just more ‘full-on’ than it is for the average person- even the average four year old. And so, yes, he gets a little overwhelmed and hyper. James doesn’t really get the ‘point’ of other people. Society and its norms are a concept completely lost on him. So running through crowded supermarket shouting gibberish at ear-shattering decibels and throwing himself in the path of oncoming trolleys is not something he perceives as a problem. And while most young children would panic if they became separated from their parents, James just isn’t bothered. Why? Because he has no social imagination- I.e. no ability to predict outcomes and thus no sense of danger whatsoever. And lastly, he’s utterly egocentric- it’s all about James, and whatever happens to have captured his interest at that moment in time. In this case, the view of the road from the cafe window. Ultimately, if it doesn’t fit in with his agenda, then he doesn’t want to know. He isn’t being belligerent or ‘testing the boundaries’- that requires at least a very basic awareness of other people and their expectations. You simply can’t judge him by neuro-typical standards, but unfortunately, this is exactly what most people do do. So to be fair, expecting James to walk patiently alongside me while I do my shopping and pay for it is a bit like telling a cat not to chase mice, i.e. completely unreasonable. A note on the hitting. No, I don’t find it acceptable..although I suspect that, by ignoring it, people bizarrely assume that I do. Experience has taught me that paying attention to undesirable behaviours has the unfortunate consequence of egging him on. I believe that like any child, James does crave attention, but he doesn’t know how to distinguish between positive and negative attention. So my new tack, on the advice of various parenting ‘experts’, is to praise the behaviour we want to see more of and ignore the behaviour that we don’t. It probably won’t come as a surprise that today’s experience was not an isolated incident. Playgroups, soft play centres, children’s parties.. simple stuff that most people do with their children without a second thought are decidedly difficult for us, if not impossible. The common theme? Well- it’s other people. The staring. The thought bubbles. I could grow a thicker skin.. But that’s easier said than done. Much as I would like to think that writing this blog would change attitudes, I’m not naive. The reality is that people are quick to judge what they don’t understand. And I would be lying if I said that I would be any different if it didn’t affect me. Something I’ve come to realise is that disability remains a misunderstood and uncomfortable taboo. But I can either write indignant Facebook statuses lamenting people’s ignorance, or I can do something constructive and try to explain autism from a parents’ everyday perspective, and you never know- if more people speak out, maybe attitudes will change. I realise that my first entry hasn’t touched much on the positive aspects of being James’ mum, but naturally it goes without saying that I love him to bits and couldn’t imagine my life without him. Watching him happily playing with his trains in front of The Numtums, it’s hard to believe he’s the same little boy that was creating merry hell in Waitrose an hour ago. For now though, I’m just tucking into a creme egg for a bit of stress relief as there is still an hour until wine is socially acceptable, and I must say, it’s delicious. So the disastrous shopping trip was kind of worth it. 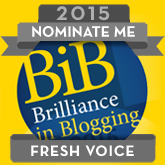 Psst – Nominations for the 2015 BiB awards are now open! If you’ve enjoyed reading this, why not take a moment to nominate Do You Speak Autism in the Fresh Voices Category? You can nominate me here – Thank you!!! Hi Holly, Thanks for writing an insightful piece about James and sharing your experience. It is quite relieving to hear that other people have similar experiences. Our daughter Martha, almost exactly fits your description of James. We have the same experiences in both supermarkets and playgyms etc. and I am just learning how to deal with it. It’s hard isn’t it? We don’t have any diagnosis yet so I can’t be sure exactly what the problem is but it sounds very much to me like it is something on the Autistic spectrum. Can I ask at what age James was officially diagnosed with Autism? And what led you to explore it? Martha has just turned three and we have just begun exploring the possibilities. Also, I have been wondering; what does having a diagnosis change for you? Does it assure you that it’s not something you are doing wrong? Does it give you practical solutions that help make life easier? Apologies for all the questions but I am very interested to know. Hi Lindsay thanks for your comment. I know just how you feel, knowing that you aren’t the only parent going through this is a comfort in itself isn’t it? I’m planning to write my next entry on our journey from our first concerns about James to his diagnosis (and beyond) as I am asked about this by nearly every parent I speak to. That realisation that maybe something is ‘different’ about your child, and getting others to take your worries seriously- I know for me it was an incredibly confusing and lonely time when all you want is answers and it seems no one wants to give them to you. In answer to your question though, I first started having concerns about James when he was between 18- 24 months but I found that health visitors were reluctant to take my concerns seriously until he was nearer 2 1/2 and noticeably falling behind in his development. From there we were referred to community paediatrics, speech therapy, etc but it was a good few months before we saw anybody. Good old NHS.. In the meantime we were helped enormously by a local organisation called Springboard Opportunity Group who offer pre school services for children with additional needs, with or without a diagnosis. Their support has been invaluable. I have found a diagnosis helpful in a number of ways, but the main thing has been for accessing support in particular with regard to his transition to school this September. I’m currently trying to get him a special needs statement in the hope of getting him into a particular school that I thing will best cater to his needs. Having a diagnosis shouldn’t really have a bearing on whether he gets the right support for his needs, but I am tending to find that it does. In this cutback climate, local authorities are keen to avoid issuing statements where they can (sad but true) but his diagnosis is firmer evidence of his needs that is harder to argue with. I worked at James’ nursery in the summer and always looked forward to working in James’ room. I currently work with a 17 year old lad that also fits James description . 5 months in and I still haven’t scratched the surface yet. I’m looking forward to your next blog. Just discovered your blog – hurray! We too got an ASD diagnosis in Sep last year for our little boy (turned 3 in Jan) and so are travelling the same bumpy road as you, albeit with a slightly younger version and his elder brother. And what a road! It helps (hugely) to know that there are people like you out there who ‘get it’, who are on the same emotional roller coaster ride as us, whose words capture the essence and uncertainty of what daily life for us autism parents is all about (*reaches for wine*!). So thanks again, I look forward to reading your future instalments with a wry and weary smile, that’s if my darling boy will relinquish the iPad long enough!